New legislation passed by the City Council last year is helping Albuquerque Police Officers investigate and intervene in school shooting threats. In 2016, APD school resource officers began investigating an anonymous threat of a school shooting sent to students via social media. But they quickly learned that the state’s laws governing threats, written before the age of the internet of mass shootings, made it illegal to threaten a specific person or call in a bomb threat, but not a mass shooting. APD Officer Rob Debuck approached City Councilor Pat Davis, himself a former police officer, for help. 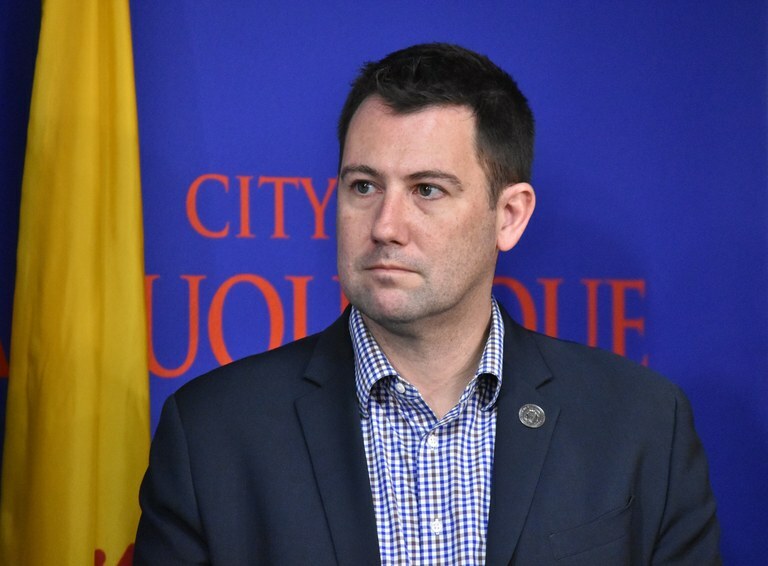 Davis drafted a new “Safe Schools and Public Places Ordinance” prohibiting threats to schools and public places in Albuquerque. It passed with unanimous support in November 2016. “Our city ordinances have not kept up with the times,” said Councilor Pat Davis. “Making a threat against a school on social media or through a text message wasn’t considered a crime, which meant our officers couldn’t detain a suspect or get a warrant to find out information about the person making the threat and further investigate. We’ve fixed that." In February 2017, students at a Northeast Heights charter school received a SnapChat video depicting students, ages 12 and 13, as shooters superimposed over surveillance footage from the Columbine High School shooting. Within hours, officers had identified and interviewed both students off-campus. Both students were referred to juvenile authorities for violation of the ordinance. In March of 2017, a middle-school student told a family member they had seen a SnapChat video of an unidentified student placing a gun in a backpack as he mentioned going to a local middle school the next day. Officers quickly interviewed the witnesses and in cooperation with APS police identified a possible suspect. Officers located the suspect who admitted to creating the video which police report had become “viral” among students who shared it and their concerns. The student was apprehended before school opened, allowing the school to open for operations without fear. The student was referred to juvenile authorities. In October 2017, several students at a private high school reported seeing a social media video of a classmate holding a rifle and telling fellow students not to go to school the next day. APD responded quickly to identify the student who had been with a family member at a pawn shop selling several guns. The student was referred to juvenile authorities. Media should contact APD for information about specific cases.